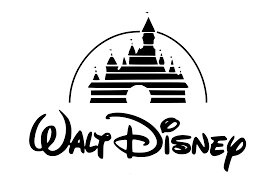 Walt Disney Co (NYSE: DIS) stock rises over 2.5% on 9th November, 2018 (as of 10:28 AM GMT-5; Source: Google finance) as they posted better than expected results for the fourth quarter of 2018 driven by summer crowds that went into its theme parks and filled theaters showing Marvel movie “Ant-Man and the Wasp.” The company also revealed plans for a new “Star Wars” video series for its forthcoming streaming service, that it has named Disney+ and plans to launch late next year, aiming to make up for the continuing loss of subscribers from ESPN and other cable networks. Net income climbed 33 percent to $2.3 billion for the fourth quarter. DIS is trying to transform itself into a broad-based digital entertainment company as audiences move to Netflix Inc, Alphabet Inc YouTube and other digital options. It is on the verge of gaining new film and television properties in a $71.3 billion purchase of assets from Twenty-First Century Fox Inc. Disney’s other two entertainment divisions—Disney Animation and Pixar Animation—will be represented on the service, as well as programming from National Geographic, which Disney will acquire as part of the Fox deal. In addition to its Disney-branded service, the company will manage two other streaming services: ESPN+, released earlier this year after several quarters of sagging subscription numbers for ESPN’s cable channel, and Hulu, over which it is gaining majority control in the Fox deal. The Disney-Fox deal will reduce the number of major Hollywood studios to five from six. Disney will be producing some movies exclusively for its streaming service, while also distributing features with traditional theatrical releases; but the company has no plans to shorten the “window” of time between a movie’s theatrical debut and its availability in the home. DIS in the fourth quarter of FY 18 has reported the adjusted earnings per share of $1.48, beating the analysts’ estimates for the adjusted earnings per share of $1.34. The company had reported the adjusted revenue growth of 16.5 percent to $14.31 billion in the fourth quarter of FY 18, beating the analysts’ estimates for revenue of $13.73 billion. Meanwhile, DIS has released five of the 10 highest-grossing movies of 2018; its fiscal year, which ended Sept. 29, included gargantuan hits such as “Black Panther,” “Avengers: Infinity War” and “The Incredibles 2.”” three movies that combined collected nearly $2 billion in ticket sales in the U.S. and Canada. Operating income for Disney’s studio-entertainment division rose 27% from last year.